Do you need a bigger file? The file available on this site is 1024 x 800 px. To obtain an alternate file type or higher resolution copy, please contact the owning institution. 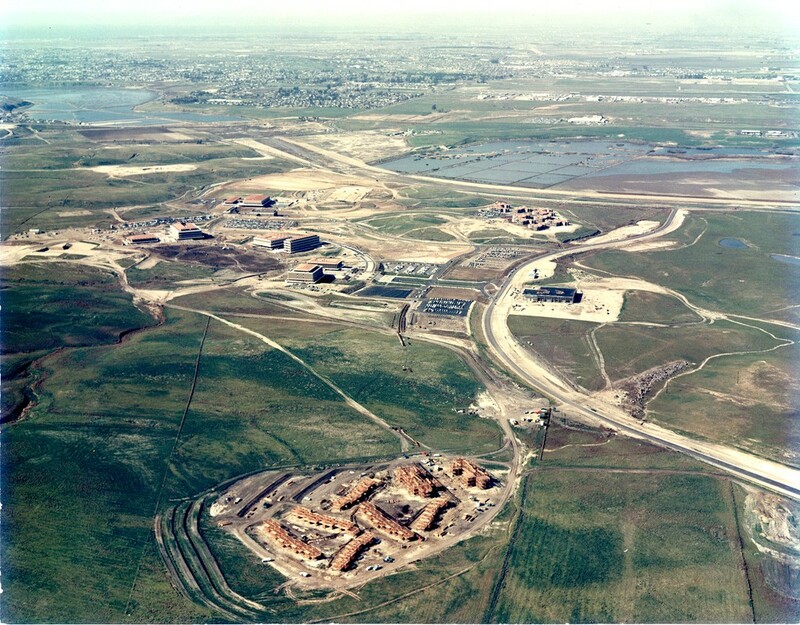 Scope/Content: This aerial view of the campus in January 1966 shows the first apartment units at Verano Place under construction in the foreground. At the upper left is Newport Bay. Water at the right is irrigation run-off from the Irvine Ranch.